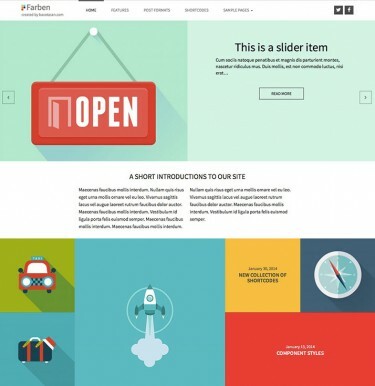 Stationery is another premium theme created by myself and Juan Gordillo. It has a straightforward layout with strong design elements and tons of cool features. As I create more and more themes, I want to keep upping the ante and I think Stationery does just that. There are four color options, a custom front page with one or two sidebars, a fully widgetized footer, dynamic SEO functionality, a secure contact page and the list goes on. Here are some different examples of how you can use Stationery on your site. For more information please check our Themes by bavotasan.com. tr?�s beau th?�me.Dommage qu’il ne soit pas en fran?�ais.Mais je pense que si j’en fait l’acquisition je le traduirais moi m?�me. j’utilise actuellement Magazine Basic que j’ai traduit moi m?�me pour mon site que je trouve particuli?�rement bien fait. Merci à Henry for creating a French language file for Stationery. De rien ce fut un plaisir ?� faire. I do not know if c’ is a problem of with th?�me.mais the articles on d’ page; reception are all to place in the same category. You have the option to select a category for the slideshow, the main content area and the bottom image bar in the Front Page admin menu. I well did not express myself I meant about or article in homepage it me posters in the same category:Soci?�t?�.alors as it is article does not depend on this category. I have to find the probl?�me.was the sociable plugin which put me this erreur.le problem and resolved in deactivate him(it). Could you agree for me leech it to my website: http://wpstyles.org? Depends on what you mean by leech. Thanks for such great templates, I’ve been searching for a while and these templates are what I trully like to use for my new blog. I look the looks of these themes. Thanks for posting. 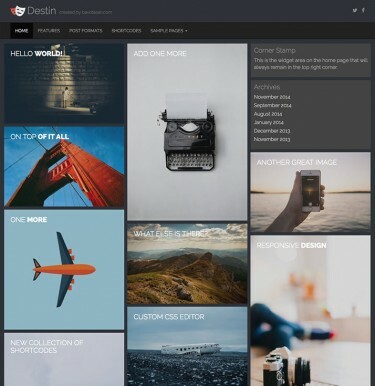 I currently checking the different WP templates that are in the Premium section. From what I have seen so far Stationery belongs to the list of the ones I would buy. Tall and skinny is right….like a newspaper! Nice site. Many thanks.